If you wear multifocal contact lenses, you know the pitfalls: vision is often a compromise between clear distance and clear reading, lighting has huge affects on vision quality, and finding a balance between good computer vision versus clear reading vision is often a struggle in higher prescriptions. Multifocal contact lenses on the market today are leaps and bounds better than their predecessors, but I always counsel my patients on what to expect, because vision won't be as clear as it is through glasses, no matter what power multifocal contact lens we chose. This is all the function of the lens design, since in a contact lens you are only looking through the center of the lens, the multiple powers for distance and near must be layered in rings one on top of the other. That means your brain is processing a distance and a near image at the same time, and having to select the clear image to process. But luckily, multifocal designs are continuing to improve, and Bausch and Lomb's new design has been a true upgrade to the market! The PureVision2 Multifocal uses the company's new thinner silicone hydrogel material, that has also received approval for overnight monthly wear due to its high oxygen transmission (130 dk/t in a -3.00 lens). It is a monthly disposable contact lens, just like the best soft lens designs on the market. The design is tailored from the the innovative C-Vue multifocal designs that have found a regular place in my arsenal. Previous multifocals have a 2 power design: 1 for distance and 1 for near. The PureVision2 offers a "3-Zone Progressive" design that offers blended distance, computer and reading vision. The result? A much stronger reading vision effect without compromising distance clarity to the extent other lenses on the market do! Then over-refract as per usual for refinement. So far I have had good results without splitting adds so you may find you don't have to go that route often. Like most multifocals on the market, the PV2 MF doesn't mask astigmatism well. Apparently up to -1.00D cyl you may be able to get acceptable vision, but past that the results are mediocre. Still waiting on a good soft contact lens with astigmatism and multifocal correction (keep dreaming right now...). Liking this lens? Have any trouble shooting advice or want questions answered? Please post in the comment section and I will try to help out! With these lenses, you can cut minus a lot and improve near while keeping distance good. We've been fitting these a lot where I am and the minus seems to constantly be cut by .25/.5 diopters over other established MFs. Patients are also really happy with them which is nice. I agree, these are a lot more friendly on those higher near-sighted Rxes with cutting back power than a lens like the Biofinity Multifocal where on many patients you can't even vertex their Rx without losing too much distance. I was fit with Purevision2 Monovision last year, after trying an array of GP and other lenses - and the PV2 SVS worked well. After all, my mother is at a MV Rx of 2.50 and 5.00. But for intermediate work (on a MAC...) there was too much of a disparity (OD 3.00, OS 1.00). Glasses Rx is 1.25 OU + 1.75 Add (astigmatism under 1.00, but present for each eye). I had worn progressive glasses for over 10 years, and they truly provide optimal vision at all distances, and take into account cylindrical and other surface aberrations. As a pilot, I was able to adapt well to the contact Rx above for MV, though the FAA will not accept this approach unless surgically induced. After learning that aviators in the U.S. must possess (naturally or corrected) 20/20 vision distance, and 20/30 at 16" and 32", in EACH eye, I decided to try multifocals. Everything I read indicates that I must make a compromise at either distance or near. As a hyperope for many years prior to presbyopia (genetic; I have had plus lenses since the age of 25), I am finding it difficult to identify multifocal contact lenses that will satisfy my demanding visual needs. If I was required to wear spectacles for flight, they actually pose a danger, as viewing out the window for other traffic or gauging optical flow, would require viewing out the bottom side of the lenses, designed for near vision - a poor mix. When I was prescribed (after a few mods) 1.25 High add PV2 MF, this worked so well for reading and intermediate, though at 20' I can't even pass 20/30. With 1.00 High add PV2 MF, this slightly improved distance (insufficient), but reading is at arm's length. .75 High was completely inadequate for reading, though improved distance. Perhaps I need to wait the 6 weeks, to allow my eyes to "relax" - as I'm reading regarding latent hyperopes. PV2 .75 and 1.00 low are both great for intermediate and far, but nada for reading. I also tried the Ciba Aqua MF, and it seems to have a larger distance parameter/diameter. I was originally prescribed OD 1.75 Low and OS 1.75 Med, though all I could focus on was intermediate, and not near nor distance~ I requested to try the +1.00 High add as well as +1.25 med add, and neither is still quite right. Can you help? At the moment I'm wearing the PV2 MF 1.25H, mixing with 1.00L as well as 1.00H as you mentioned to see if I can achieve an adequate balance. I feel as if I'm in the middle of the spectrum. Would Biofinity be the best next option? I'm positive my OD is quite frustrated with me!~ HA. As another option this past month I tried modified MV geared towards reading. OD PV2 MF +1.00 Low, OS PV SVS +3.25. Again - the intermediate and near VA was superb - nothing like what was achieved for MF OU, except for the PV2 MF +1.50 High Add. However, distance was still insufficient - though better than the AOA as described above (both Rx's, which seems to favor only intermediate). Also to do a baseline test for distance of my own, I created a Snellen chart and ensured that it had the correct dimensions and aspect ratio for 20/30 and 2020 and have placed in various locations of my home to simulate different lighting conditions. I cannot see 20/20 nor 20/30 at 20' without peering through the top or mid portion of my progressive spectacles - though the clearest are through the intermediate portion of an old pair of glasses, which would have been +1.75 (if one assumes it is 1/2 of the full add on top of the base + amount). For those earlier glasses the spherical correction was a bit different, but still under 1.00. This morning when I woke I could see 20/20 with the PV2 MF +1.00 High and 20/30 with +1.25 (same all else). Is there something about the time of day? Perhaps I have been circling for no reason and needed to wait until my eyes adjust. Seeing fine print as I write this on my MAC is blurry but passable at 32" and sharp as ever at 16" (using +1.25 PV2 HA OU). (If you use a MAC BookPro - you know what I'm talking about - the resolution of a 17" internal monitor is amazing - for the better and worse! Purevision 2 MF: best for reading, but sometimes may compromise distance too much with 2 high reading powers. These are just general of course, not everyone is going to follow every rule. There is unfortunately no way for you to give me or any other doctor your glasses prescription, and have them be able to tell you a contact lens Rx for multifocals or modified monovision that will be any better than a rough starting place. This is because multifocals don't work like glasses -- some people see more reading out of a lens than expected, and some people see more distance, and some people just don't see anything at all. It is mostly trial and error with educated decisions made by your doctor based on your responses to the lens. Just keep working with your doctor, and best of luck! It may be we need to wait for the next generation of lenses to do any better, but hopefully you get some success. Sometimes you need multiple prescriptions: 1 pair of contact lenses set up for your computer work day, and a different Rx for when you are doing more distance activities. 1 contact lens Rx set up likely won't be able to get all 3 distances clearly. And for your best vision, of course glasses will beat contact lenses 100% of the time. I typically tell my patients to expect 20/25 in the distance with multifocal or monovsion contact lenses, and 20/30 at near. That is what the average person can best achieve. Some people do better, and some people do much worse. But if you have those expectations in place, often you can find something that gives you a reprieve from full time glasses wear when it is ok to accept less than perfect vision. Great feedback. Interesting to note that I can resolve the 20/20 line at greater than 20' without correction though formatted for 20'. Though I very much like the PV2 I may seek an office that offers Biofinity, as I have been wearing glasses over contacts for close reading the past few days. Would prefer daily disposable for reasons you mention. Q: Have you heard of patients purposefully attempting to push adapting to +base value to prevent having to deal with Multifocals? I definitely will often push plus or underminus people in the distance to avoid going to multifocals in some patients. It typically works well as long as you need +1.25 or less add power for reading. After that, adding that much plus tends to blur distance to a point where people don't feel safe driving. Of course, some people are ok with blurring them up significantly in the distance to achieve best near vision results, and then they just wear driving glasses over top of their contact lenses for distance activities. Lots of options -- it just depends on what you are willing to sacrifice. I usually ask patients this question: where do you want to see the clearest? Pick one distance, be that driving, computer or reading, and I can make that one distance clear. Everything else may be blurry without glasses, but I know I can make at least one distance clear every time. Sorry to hear! Let your doctor know and there are several other multifocal options that may work better for your eye chemistry. Even though both the original purevision multifocal and the newer purevision 2 lens are made out of the same silicone hydrogel material called balfilcon A, they are pretty different in the "feel" of the lens and the design of the multifocal for distance and near vision. The oxygen transmissibility is higher in the purevision 2 multifocal, and if you are holding the lenses side by side you can easily tell that the purevision 2 lens is much thinner. I have had many people say that the new lens is more comfortable to them. Most people also get better vision with the new purevision 2 multifocal design. 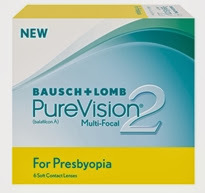 You may still end up not liking the comfort of the lens (no lens will work for everyone's chemistry) but good news -- Bausch and Lomb launched their very comfortable Biotrue 1-Day lens in the same multifocal design as the purevision 2 multifocal, and it will be available nationwide very soon! Thank you so much for your reply. I have ordered them to try out. Im sure they will be a much more comfortable lens and with my busy traveling lifestyle i certainly will try the new Biotrue 1-day lens should the new purevision 2 not work out for me. Hello. I am 49, been wearing contacts for 30 years, multifocals for 2 years. I currently wear Biofinity multifocals with a -5/+1.5 // and -5.25/+1.5 for dominant eye. Lenses work pretty well, but am curious to try Purevision 2 when my lenses run out. I do much better with a LOW water content lens and do not like UV blocking lenses as I believe small to moderate amounts of UV getting through the eye are essential. So acuvue is a no -go. One member of the board said patients can reduce their minus power so I will try the -4.75/-5 with the LOW add lenses. Will there be any noticeable effect on my depth perception by changing to purevision 2 lenses ...negative, positive, or no difference.? Unfortunately it is not that simple. There is no way to predict how your personal vision will be affected by changing to a different brand of lenses when we are discussing multifocals. The multifocal design of the Purevision 2 lens is completely different than the Biofinity design, so you may see better, you may see the same, or you may see worse. The only way to know what will work is to have your doctor fit the lens on your eye, and then make changes based on how your brain responds to the vision the lens delivers by adjusting power. Power units in multifocal lenses are not straightforward. You may be wearing a -5.00 contact lens but only getting -4.00 vision out of the lens. It all depends on how your brain interprets the multiple images. I tell my patients all the time that they shouldn't get wrapped up in the units on these lenses because they are just a way for your doctor to stay organized on what is changing -- they aren't like your glasses prescription where they measure your eye. 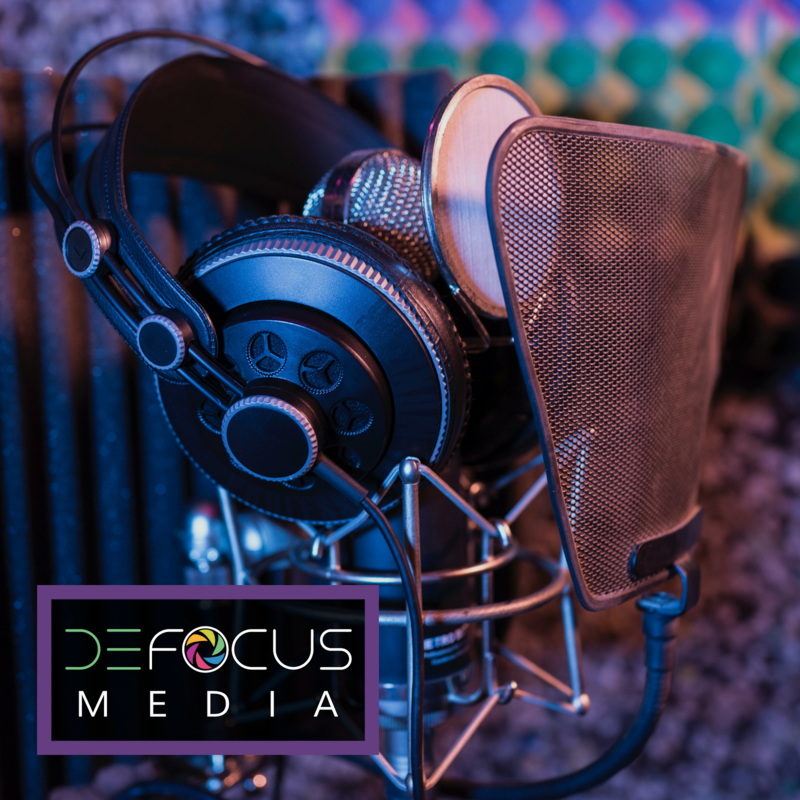 The units on multifocal lenses are just units for change to try to get more distance or more reading out of the lens. You may find that a -6.00 is what you need in a different brand, or it may be a -4.50. You nor your doctor will know until we see how the lens performs for you as an individual. I want to be able to talk to my next optometrist in an informed manner. All things are random and many optometrists judge the quality of various contact lenses on their small sample of patients. My optometrist said he did not even bother recommending pure vision contacts. Like all professionals, 10% -25% are really passionate about what they do, the rest are just along for the ride. I drive a forklift with a computer, and I need to see 3/4 inch letters from 25 feet away. So near, far, and depth are important to me. Mono vision is when you wear 1 lens for distance and 1 lens for reading. It means that you will have no binocular depth perception, so for your line of work it may be a poor option. Since distance is so important for you, you may find that distance only contact lenses with glasses over the top for computer and near activities is the best option. Both multifocals and mono vision will compromise distance vision and depth perception. Hope this helps! I just got fitted with a trial pair of purevision 2 multifocals. I love the ease of handling and it is easy to tell if they are inside out. A different feel from my biofinity lenses...more of a rigid feel, but I do not notice it in my eye. The prescription turned out to be very similar to my biofinity. My opthalmologist gave me a sample pair of Pure Vision 2 lenses about a month ago. I am farsighted and these are the first MF lenses I have tried that provide decent near, intermediate, and distance vision, though I prefer my single vision distance lenses for driving, movies, etc., and I still need to add readers for extended periods of close work. Problem is, the Pure Vision 2 lenses aren't comfortable, so I asked to try the new Biotrue for Presbyopia lens. Even though it supposedly has the same "3 zone progressive" design as the PV2 lens, it seems to provide virtually no near correction at all. The prescription he gave me was exactly the same (+2.75 for the R/dominant eye, +2.50 for the L eye, with high add both eyes). Any thoughts as to why this would be? Even though they are made by the same company, according to the company representative they aren't the exact same multifocal design. Most people find the Biotrue daily MF works well for people with early presbyopia (low adds) but is less successful with higher add power needs. You may want to try the new Acuvue 1 Day Moist Multifocal -- I've been having good success with this lens even with higher add powers. Thanks so much for this info (and your quick reply!). I tried the Acuvue Moist 1 day MF right after my one month trial of the Pure Vision lenses. My near vision, and particularly my distance vision, was not as good with the Acuvue MF--whereas visual acuity was pretty good with PV2, it was fair (in the near range) to pretty poor (in the distance) with the Acuvue lens. I am very torn as to whether to go for comfort (and eye health?) or visual acuity. Hopefully multifocal contact lens technology continues to improve...I switched from glasses to contacts 40 years ago and I don't want to go back! Another idea -- see if your doctor fits the C-Vue disposable multifocal lens. It is the same design that the PV2 lens is based on, so I would expect similar vision. The C-Vue disposable lens is made out of a different material (hydrogel)than the PV2 lens, and is a 2 week disposal to improve comfort. Because it is a special order lens not all doctors fit it, and it is not available for purchase online or with outside retailers. It may be the perfect choice for you though -- vision of the PV2 but in a material that is more comfortable! Thanks for your reply. I will ask my doc about the C-Vue lens...sounds promising!